Kwame Braun received his MFA in filmmaking from New York University in 1988. He has worked in the theatre and film industries of New York City and Chicago, and has taught filmmaking at New York’s School of Visual Arts, Columbia College in Chicago, and at UCLA’s Department of World Arts and Culture. 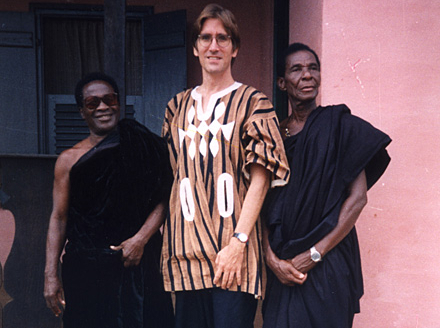 In 1994 Braun returned to his birthplace in Ghana, West Africa, as a Fulbright “Artist-at-Large.” There he shot footage for his first documentary, Stageshakers! a history of the “concert party” itinerant theatre, working in collaboration with theatre scholar Catherine Cole, to whom he is married. The video Passing Girl: Riverside- An Essay on Camera Work is the first completed piece to come out of his Ghanaian experience. 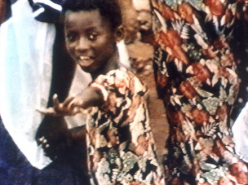 It has been screened at several international short-film and ethnographic film festivals, including the Margaret Mead in 1998. While in Ghana he also shot two video feature “Ghanafilms”: Hena Bedi M’ade? with the veteran drama troupe, Kusum Agromma, and Akwantu Mu Asem, with the Jaguar Jokers. His most recent project is a series of poetic video portraits of several Santa Barbara area Holocaust survivors and refugees, made in collaboration with UCSB film scholar Janet Walker. Video Portraits of Survival, Vol. 1 , a program of six portraits made by their seminar students, premiered at the 2006 Santa Barbara International Film Festival. Video Portraits, Vol. 2 , comprised of three more portraits made this time by Braun and Walker themselves, along with a fourth by Renée Bergan, premiered at the Festival in 2007. 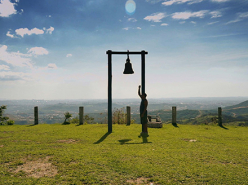 Several backburner projects await clarity and time.